FC5 toner and cleanser: This cleanser is amazing. It does not dry out your skin, but you can tell that it helps with preventing oil. Also I would not use this right before a big event because if defensively brings out the oil so you are stuck with some white heads for a while. 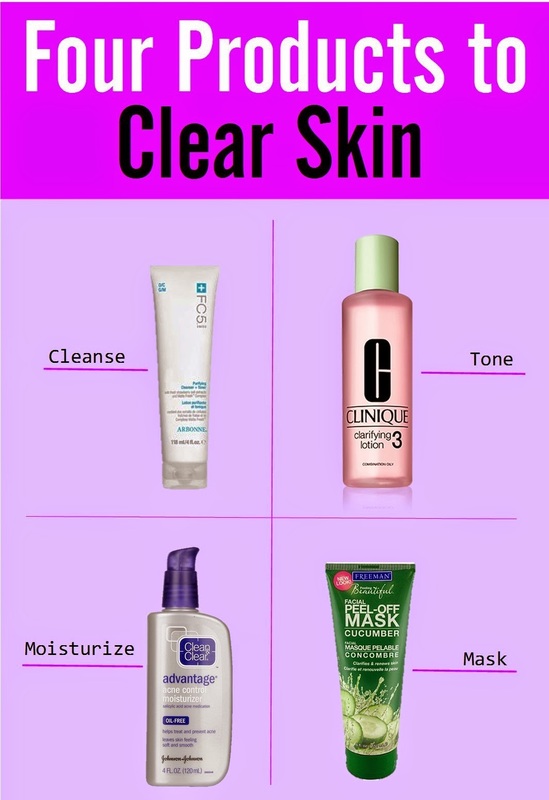 Clinique clarifying lotion Toner: True life: I have no clue what toner is, but this does wonders to my skin. I have always been a big Clinique fan and onetime I was at the counter and the lady just kept handing me products and was like "YOU NEED TO TRY THESE" so being peer pressured I tried it and I have not looked back since. Clean and Clear Dual Action Moisturizer: If you are going to moisturize you might as well be killing two birds with one stone. I have gone through so many bottles of this it is not even funny. The only thing I wish it had is an SPF. Feeling Beautiful Cucumber Facial Peel-Off Mask: I use this every once in a while, and I feel like you can see the dirt being peeled off (gross, right?) It also smells amazing.